Those who have been around a minute may recall that in 2007 Frankel’s debut LP, Lullaby For The Passerby, ranked as one of my absolute favorite albums of the year. It remains so today. Frankel is the songwriting/recording vehicle of Michael Orendy who hangs his hat in the hills of L.A.’s Silver Lake neighborhood. 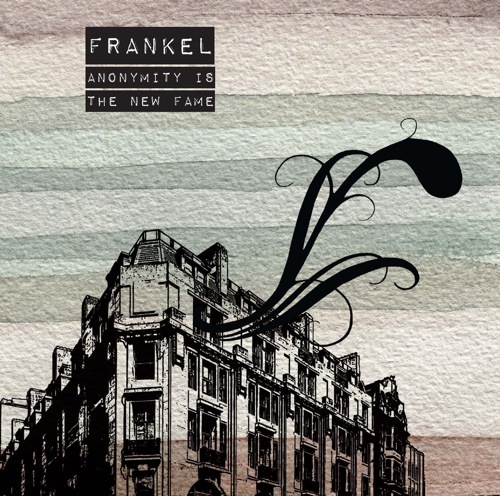 A musician’s musician, Frankel is at times as mysterious as he is brilliant. His now extremely rare live performances, whether held in traditional clubs or makeshift spaces and art galleries, have locally become the stuff of near legend. The last time I caught a Frankel show (Fall 2008, coincidentally his most recent public performance) the audience stood at rapt attention as Orendy moved through a sea of both originals and eclectic covers. A multi-instrumentalist/composer/songwriter, the nuances of the man’s versatility alone left us in awe. Where ’07s Lullaby For The Passerby was the perfect synthesis of the past 40 years of pop music; Anonymity Is The New Fame takes a step back eschewing some of Lullaby’s orchestrated bells and whistles in favor of guitar, bass, drums and keys; i.e. the essentials. Surveying its 21st century surroundings, the album demonstrates in the span of ten tracks that, in life, as much as things may change they ultimately, and essentially, stay the same. Recorded in Orendy’s home studio Anonymity at once recalls the latter work of Alex Chilton, the songwriting of Harry Nilsson and contemporaries such as Richard Swift, Microphones and Sparklehorse. There is a reason that those who have happened upon Frankel’s music have such an immediate response to it; it is, in a word, real. So once again, “remember when they used to make albums where you had new favorite song each week? Well, they still do; it’s called Anonymity Is The New Fame.” Best of 2009. Fantastic record. That last line really says it all. Can’t wait to hear this. Loved the last one. I am having trouble hearing the two Frankel tracks on the player. All the other tracks work fine. It has seemed to be a problem with Autumn Tone artists (The Roadside Graves didn’t work either). Am I doing something wrong? @ sdangler. I just tried them, and they worked ok. maybe the server was acting wonky earlier. Great news! Now if only Blair would just hurry up and release her new album. This is brilliant. Two songs in and I am ready to get this. Once again, you are at the forefront of all that is great in the field of new (and old) music. THANK-YOU!!!!!!!!! Thank’s for the discovery ! Oh so lovely! Thanks for posting these. When’s the next Frankel show? Inquiring minds….